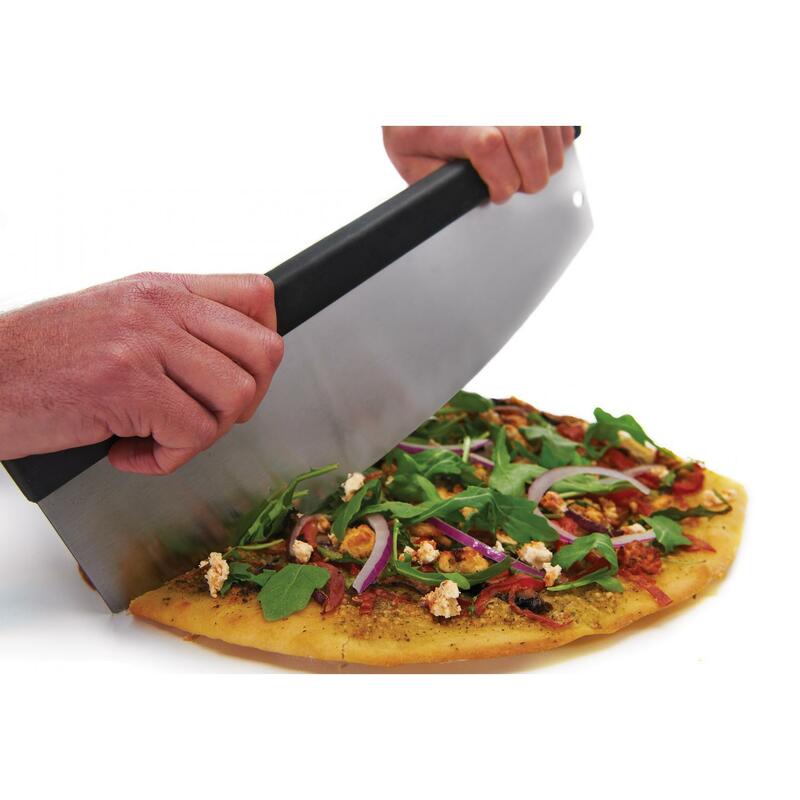 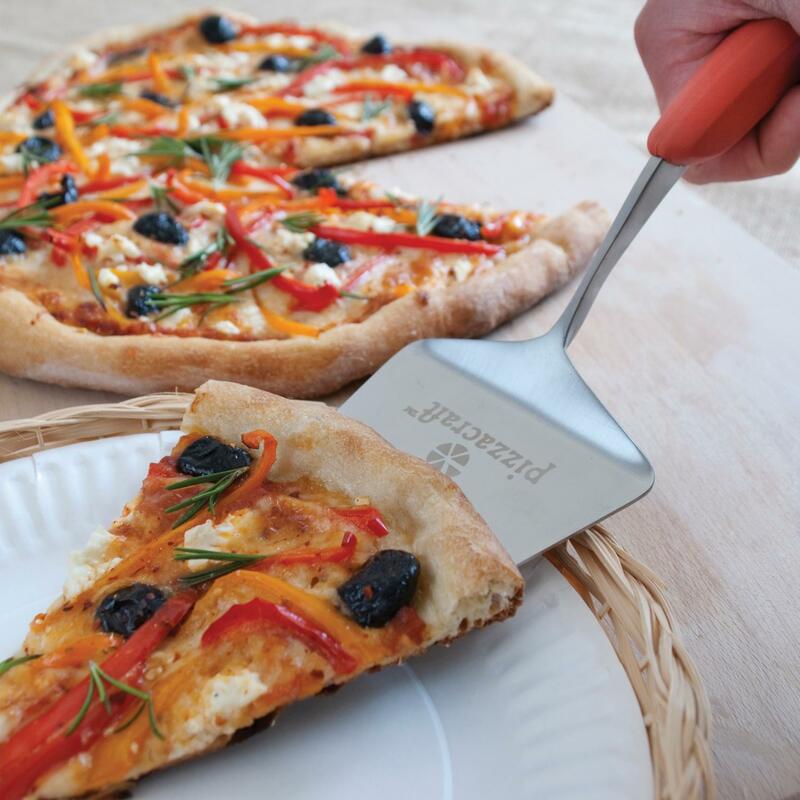 Product Description: Broil King 13-Inch Ceramic Pizza Stone With Stainless Steel Cradle & Pizza Peel - 2-Pieces. 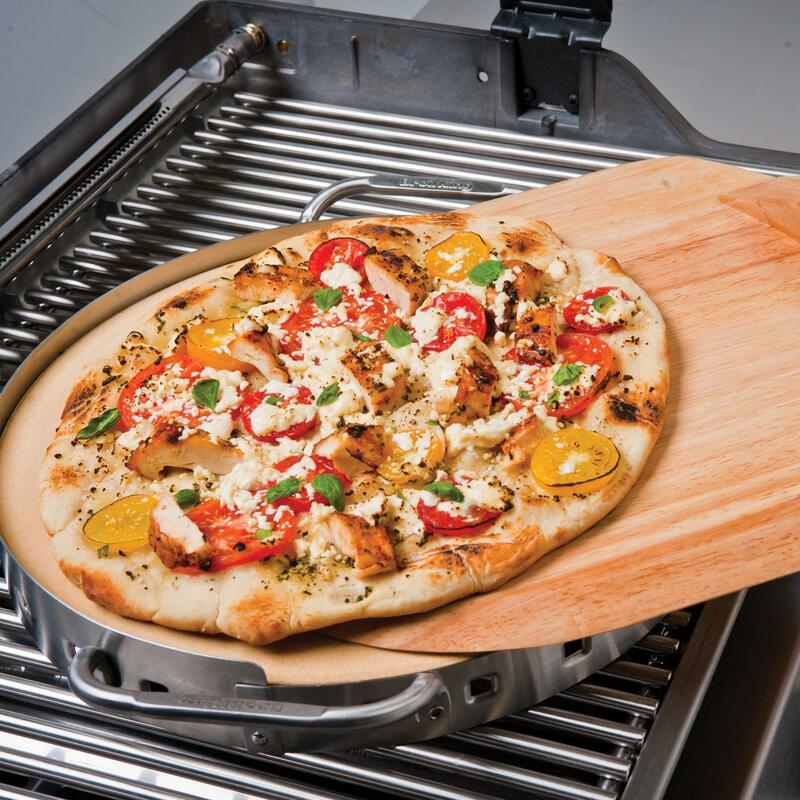 The Broil King Imperial pizza stone features a stainless steel cradle with an integrated thermometer. 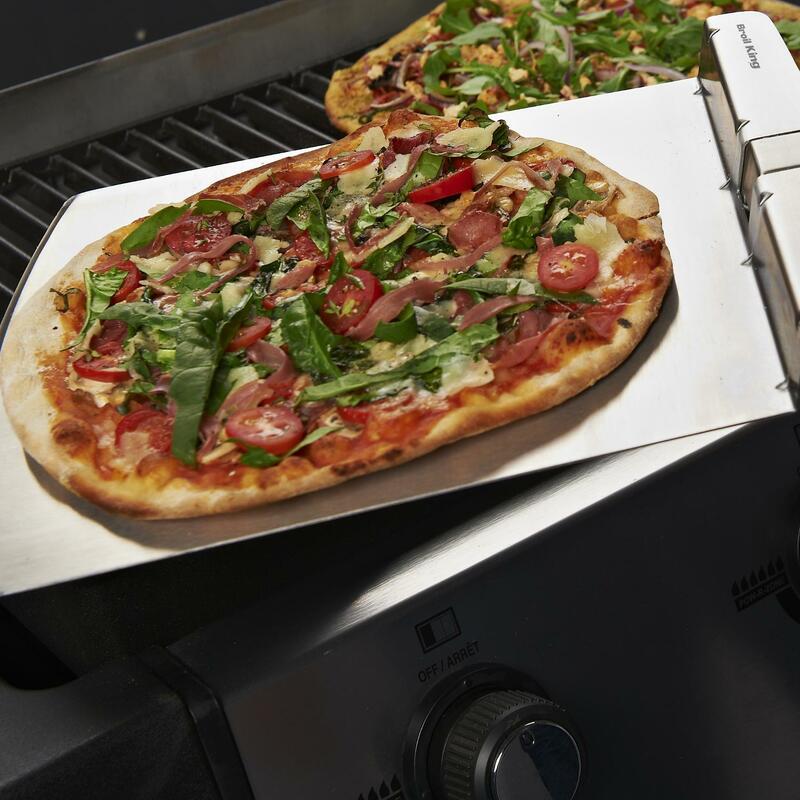 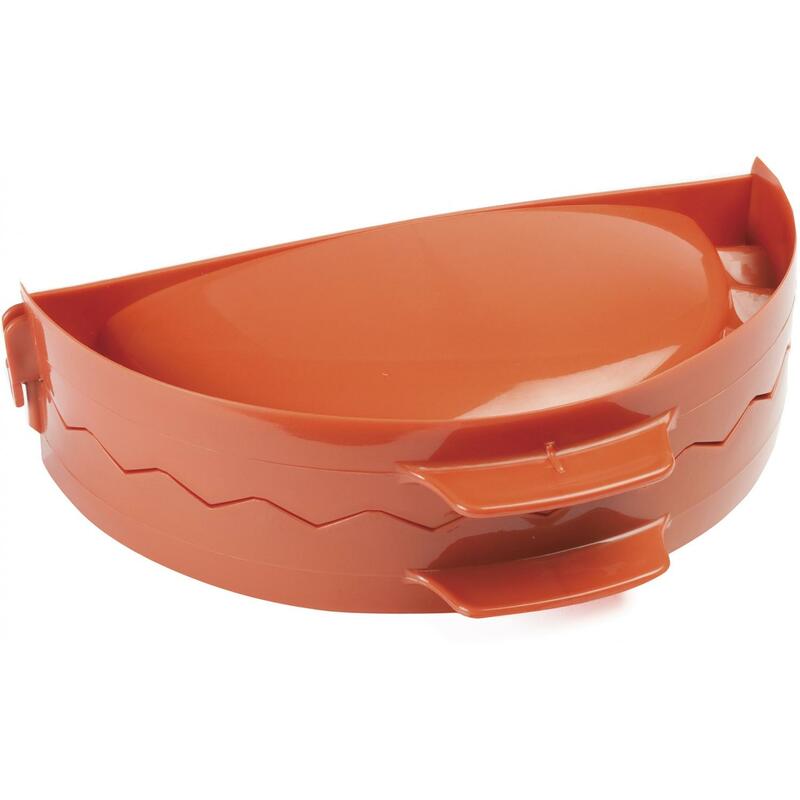 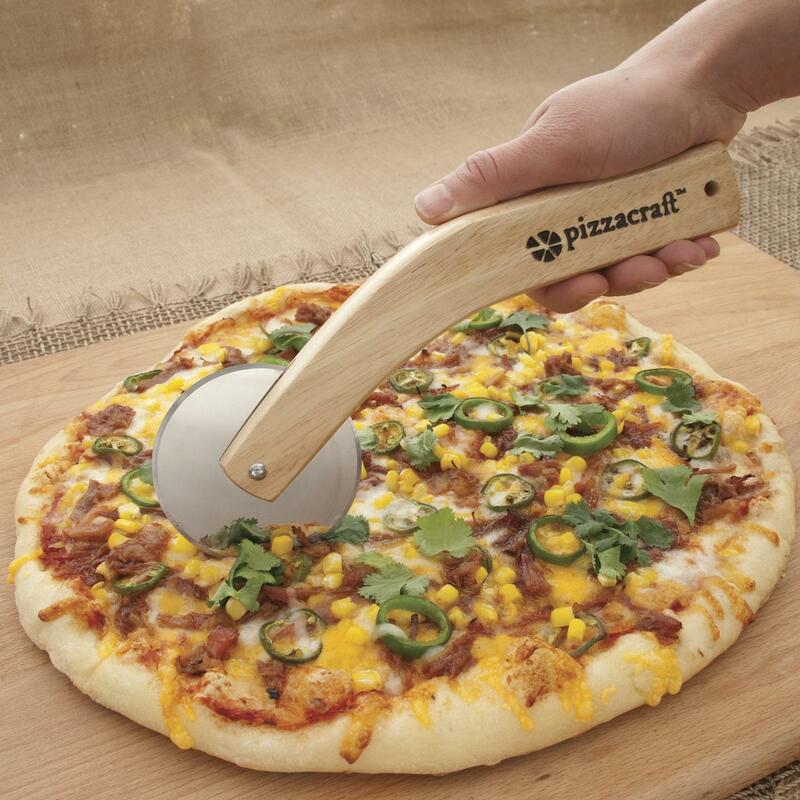 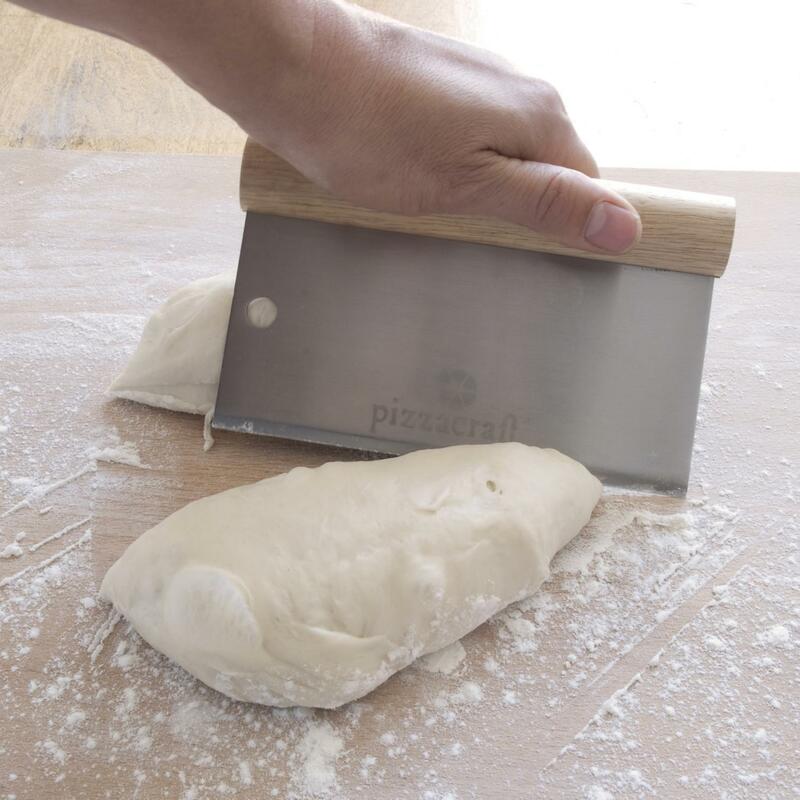 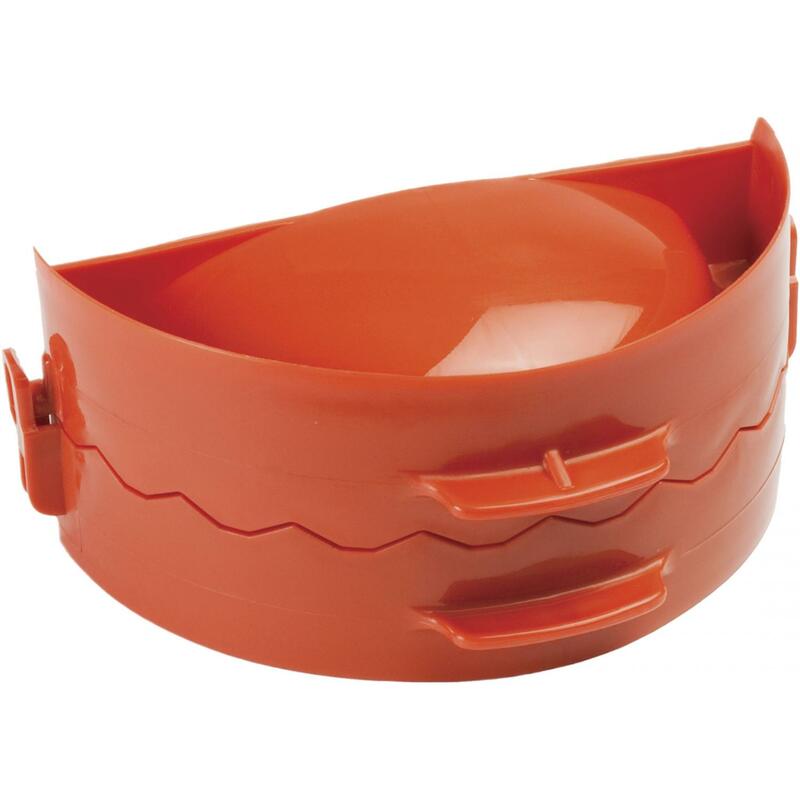 The ceramic stone can withstand extreme temperature changes without cracking and it radiates heat for perfectly cooked pizza crusts. 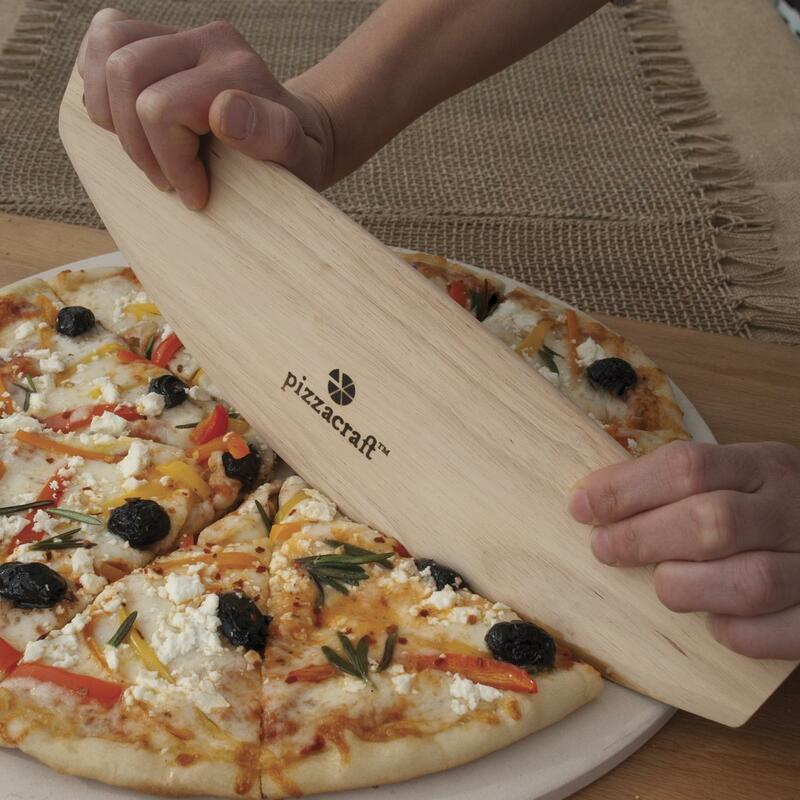 This 2-piece set also includes a wooden peel sliding pizzas on and off the stone.